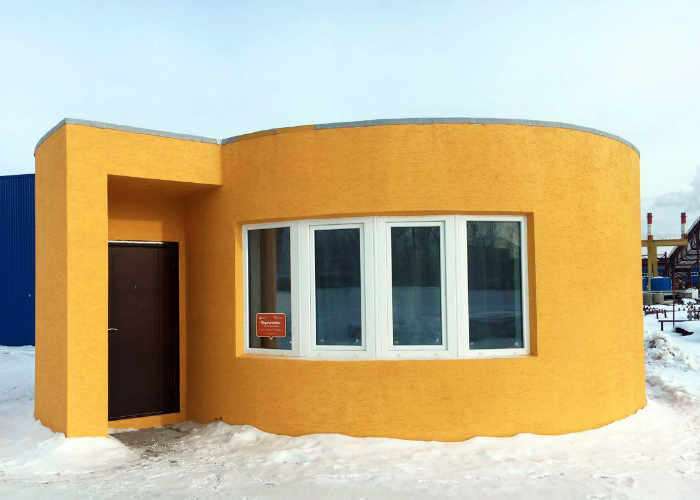 Mobile 3D printing technology has been used to build the very first 3D printed house using such hardware thanks to the combined forces of Apis Cor and PIK who carried out the project which was first announced back in December 2016. The 3D printed house interior includes a hall, a bathroom, a living room and a compact functional kitchen equipped with modern appliances. Watch the video below to learn more about the mobile 3D printing hardware which was used to create the 3D printed house. The printer has a small size, easily transportable and does not require long preparation before the commencement of the construction works because it has a built-in automatic horizon alignment and stabilization system. For the printed walls finishing we additionally used a mineral decorative plaster Reibeputz — KOROED from the manufacturer BITEX. The material has high adhesion and vapor permeability, excellent for internal and external finishing works. For painting of the entire building in a corporate yellow color we used high-quality exterior paint from BITEX Egalisationsfarbe manufacturer. Paint is easy to apply and easily fills the roughness, after drying up it forms a solid matte surface without cracks, is eco-friendly and resistant to weather conditions. 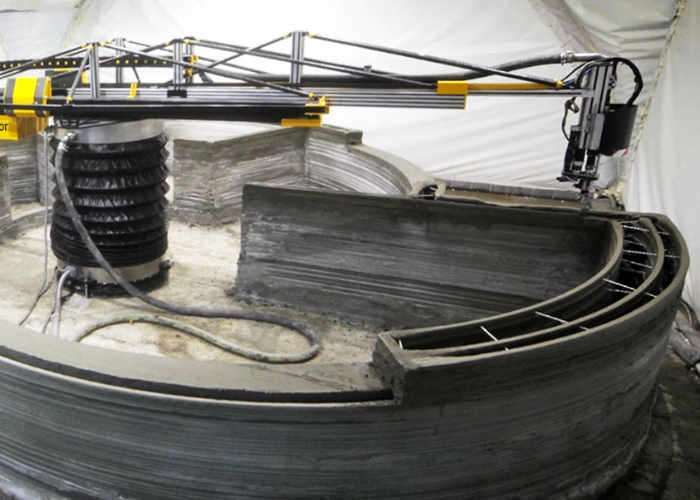 Jump over to the Apis Cor website via the link below to learn more about the project and the mobile 3D printing hardware which was used to create the 3D printed house.